Logins this hour: 11254 ? Make simple assignment changes at Amion.com from any web browser, desktop or mobile. Online edits are ideal for backup schedulers or anyone who need to make one or a few simple assignment changes away from one's desk. 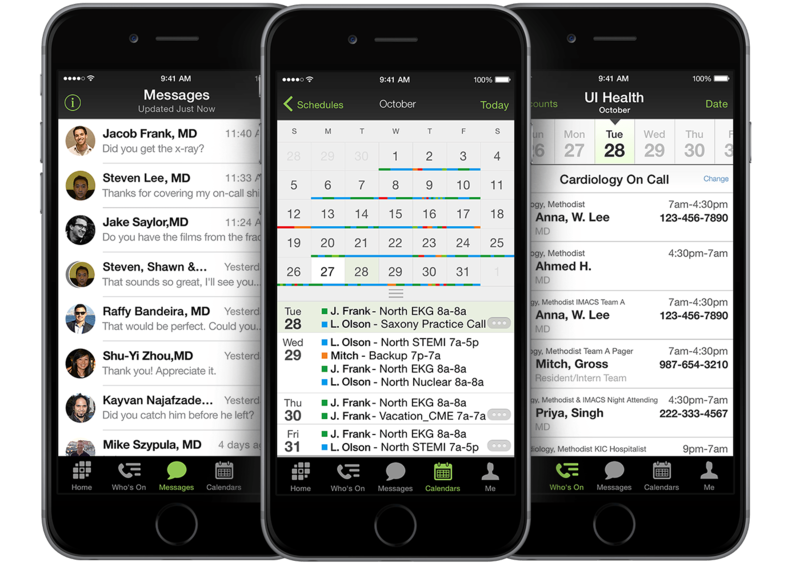 The web interface does not replace the OnCall deskop app. You cannot add new staff or shifts and each change requires a few more clicks than is ideal for filling an entire month. Online, you can break rules to ensure your services are covered. You also miss out on many helpful tools OnCall provides. All online edits flow automatically to the OnCall desktop scheduler. Log in to Amion.com with your admin password. In the top-right, click the pencil icon, . Or, log in with your staff password and a space, followed by your admin password, as in "staffpwd adminpwd". If you don't remember your admin password, click here. From the Who's On screen, select the date you want to edit and then click on the name or shift time field to make an assignment, add a note or adjust shift times. Click Submit when done. Updated assignments are tagged with light-blue arrows, . The blue arrows appear in the online view only until the next time you open the schedule in OnCall and publish back to Amion. Edit vacation and other off-schedule assignments on the away page . In residency schedules, edit block and clinic assignments on the personal schedules page .